Did you know that 40% of U.S. consumers start researching their holiday shopping in early November? Yes, every year around this time people start to realize, the money they have been saving all year is going to go to presents for their loved ones. The turkey high is wearing off from Thanksgiving, and the anxiety that comes with shopping and overspending is taking hold of their feelings. You, a hair business owner, have to start thinking about holiday advertising early, or you could miss out on an opportunity to sell. And 40% is a lot of money to leave on the table! So flashing your potential winter deals at your target customer as early as October is a must. One way to do this is to take advantage of the gift guide craze that floods the internet during the holiday season. This communication is critical because a lot of customers take advantage of the pre-holiday season to not only THINK about shopping but to also research and gather information on approaching sales or deals that the stores are pitching. Keep reading to find out the importance of holiday gift guides and how you can make your way onto a good one! Gift guides are actually huge in October and skyrocket in views in December. You may be wondering why gift guides are so popular especially because they’re not the first line of defense when it comes to marketing plans or advertising budgets. While a lot of people look to email marketing and retargeting, gift guides are the not so typical way to go. At least that’s what I thought until I started looking into the topic. 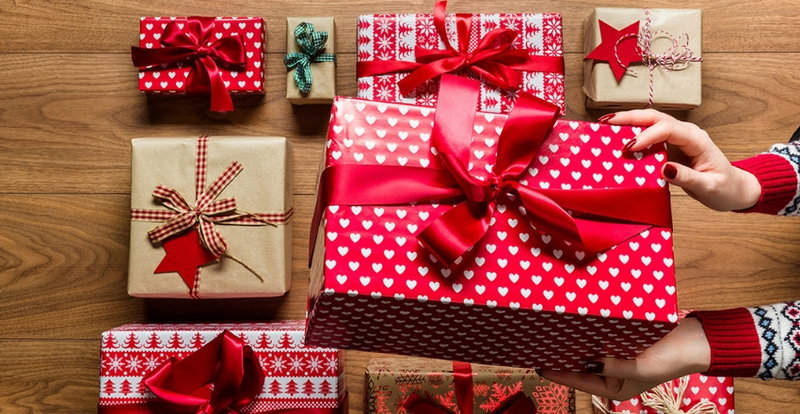 FIRST: Your takeaway from these two statements should be this, pre-planning is a big thing when it comes to holiday shopping because 91% of that total number of consumers that exist is a huge number. And if 18% of those are early bird shoppers, being on a gift guide at the right time can only help your hair business when it comes to advertising and getting information about your sale out there. SECOND: People are looking to purchase something for their loved ones this holiday season starting in the fall, and almost everyone is going to celebrate some holiday. When thinking about all the women in the world that are going to be receiving gifts this year you want to make sure that your lashes, hair, edge control, and satin caps are front and center to capture some of those beauty retail dollars! The gift guide is how you make that happen! Have you ever been stuck in a predicament where you did not know what to get for a loved one be it a birthday, holiday, or special occasion? You tormented yourself for days over what you wanted to get that particular person to signify your love or appreciate for them. 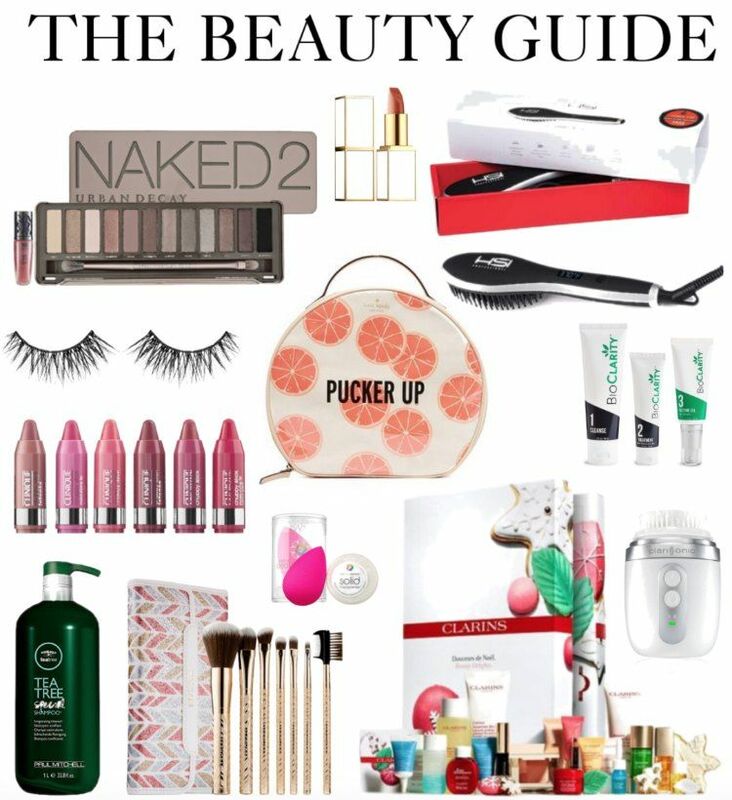 That is the beauty of the gift guide creation. Gift guides are a curated list that tells you what you can purchase for someone. The list enables you to confidently leave out the gift receipt because the items on the list cater to a specific demo based on psychographics. It is the best thing to use if you need suggestions on how to leave someone happy with their gift. They’re generally used for inspiration. And you can go on websites that specialize in a particular industry or niche and find gifts that would appease to that category to find one. For example, if you were to go on to a beauty blog that speaks to the average woman between the ages of 25 and 34, you would find brands like Fenty Beauty, Nars, and NYX along with many other lash and hair extension brands listed on a gift guide. This gift guide would give you prices for a range of products that are on sale or gift sets, and you could click on a link in the list and go directly to that product page to purchase the item that best fits your mood for that person. A lot of gift guides are for a loved one based on the relationship that you have with them. 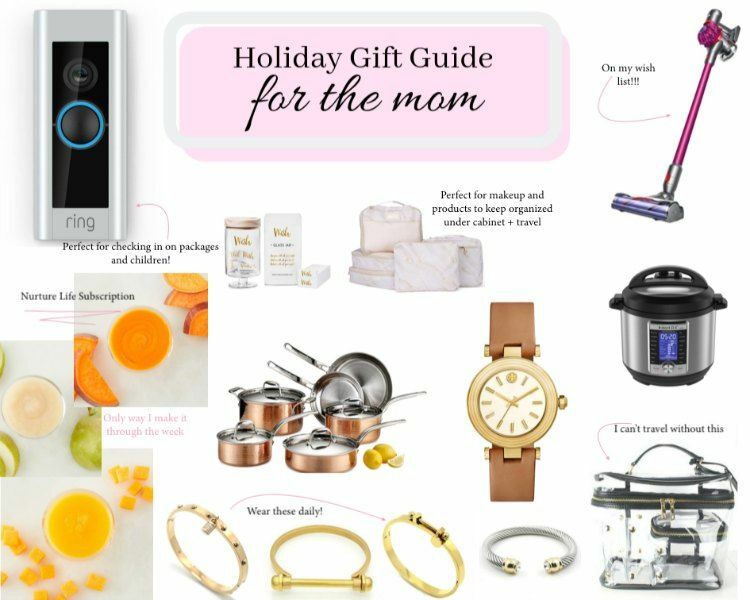 You might find a gift guide that says “Gifts for Moms” or “Gifts for Co-workers” or even something really specific like “Gifts for Co-workers That Like to Cook.” You can then base the decision of what you’re going to buy on your relationship with the person and what their interests are. Moreover, when a platform takes the time to create the gift guide in that light, they also take into consideration price points. So if you are looking to gift your co-worker, the price point might be lower than something that you would get your boss or your mom and dad because your relationship with them is different. It is essential for you to invest in being in a gift guide because it gives you a high return on your time spent. You are not advertising your hair business to a broad audience. The eyes seeing you are the niche that the gift guide would cater to. Look at it this way; if you’re on a brand new gift guide, you will get in front of potential customers that are targeted for your hair business specifically. All you have to do is write a couple of sentences down about your company and send it in pitch to whatever blog you’re interested in being featured in. Honestly, it’s typically newer products or newer brands that are set apart from their industry that will get featured on a gift guide. The gift guide curator will know that not a lot of people know about this product so that it won’t be out there in the market. Those types of content creators thrive and strive not only exclusivity but giving their reader unique gifts. Your hair brand’s best bet when pitching to be featured in a beauty gift guide is to rely on the extras that your brand offers. If you have premium quality hair that’s great, but if you also offer a free long silk satin bonnet with your hair for every purchase that comes out of your hair company’s website you’re going to get that extra shout out in the gift guide. That will make your brand unique to everyone else’s. Gift guides are usually in online blogs or magazines, and they have a keyword that will draw the shopper into what they are looking to purchase Something like “Gift Ideas for The Beauty Queen in your Life” may be a little too ambiguous. 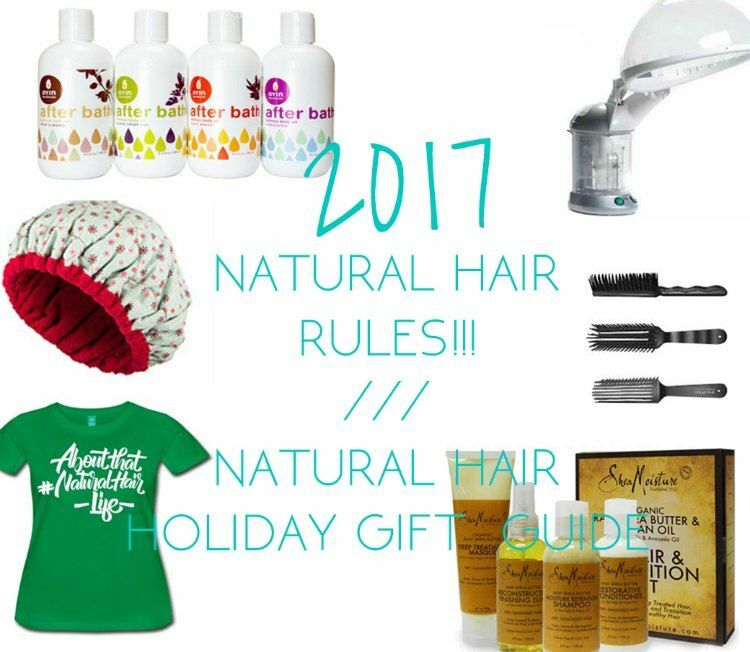 However, something a little more niche, like “Gifts for Natural Hair Fanatics 2018” has a keyword that not only ensures that you’ll get a good amount traffic to that gift guide, but it’s also ideal for something like a natural hair platform to post. Using that example, you would pitch the platform that you have natural hair clip-ins, and you provide free castor oil based edge control, satin hair bonnets, or satin lined caps to your customers as a token of your appreciation. Those extras are on brand and usable. That is what will get you inside of a gift guide that caters to natural hair customers. The publican ran successful gift guides in the past. Things like that to get your company noticed on the gift guide. Also look to see if they usually publish content that relates to products outside of their brand. That will give you an idea of whether or not they do gift guides. Be sure to check out the gift guide’s release date as well!. You may be confused on how you can find the platforms creating the guides to begin with. An excellent idea would be for you to put on your researching hat and get on Google to look for the platforms in your niche that have done gift guides before by using specific keywords. 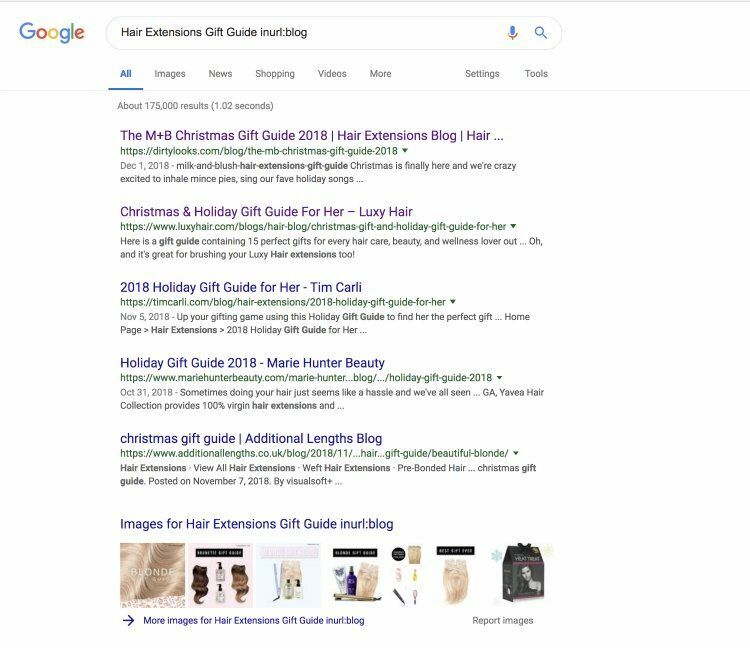 Use keywords like the ones listed above and swap different hair and beauty synonyms into those suggestions along with varying years for whenever you’re looking to push in the gift guide. If you’re not catering to just Christmas and your catering to a different market, you can insert whatever holiday you think your target customer celebrates. That would give you an even more niche audience which could help you out in the future. While completing this search, you might want to make a spreadsheet that can help you sort through all of the blogs that you want to reach out to after you finish your research. It doesn’t have to be super complicated. 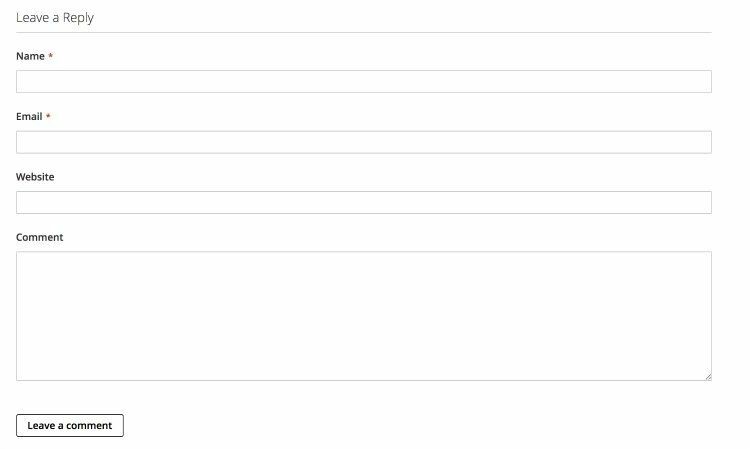 Add in a couple of tabs that track your outreach so you can keep track of whether or not you have reached out to that blog. Finally, have a column that says “Reply” so that you know if you need to circle back to that blog or not. When filling out the spreadsheet, you should ask yourself a couple of questions. 1. Does the gift guide typically work with small hair extension brand websites? If you see that they already work with one you might not want to reach out to them. They will probably opt out of putting two or three hair extension brands on one list. It will over saturate the list and could ruin a business relationship that the platform may have with somebody they are already working with. If this is the case, you might want to find a newer blog that is looking to feature products on their gift guide. 2. Look to see that the site has an audience and active readers going to a couple of their products posts. See if comments are under specific articles that are relevant in the hair and beauty space so that you can see that their audience is reacting to their content. This means that people are reading the blog that would purchase from you. A good rule of thumb would be to go for a blog or blogger that has a small but solid fan base. The bigger the fanbase, the harder it is going to be for you to get in touch with that blog or blogger, especially now around the holidays when their emails jam-packed. However, niche websites and blogs with really dedicated fans give you the right audience that is accessible and the potential for quality result like website visits. These results honestly could also be everlasting because a lot of the times the smaller blogs aren’t going to take down their posts. 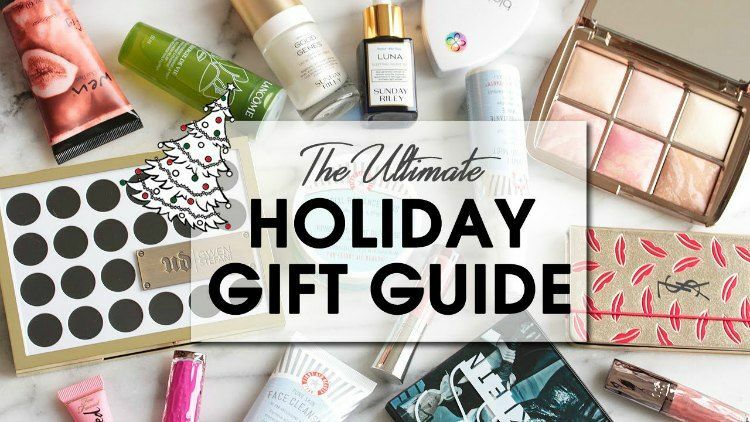 So, even if it is a holiday beauty gift guide, people looking for gift guides for birthdays or things like that can still see the recommendation of your company on this Winter 2018 Gift Guide because bloggers not going to take it down when December is over. There are a couple of mistakes that a lot of people make when reaching out to a blog or platform to be included in the holiday gift guide. Here are a few key things that you should do to make sure that you’re following some protocol and or blog etiquette. 1. Find the contact information of the person that runs the website. That is usually under a contact us tab or page. Alternatively, you can quickly type “Contact” into the search bar on the homepage of the website and a lot of the times that will either get you to the boss or the beauty contributor that you need to speak with. Take down their email and start there. Again, use this way to contact the person that you need first. Do not go over to Instagram and reach out to them on their page without sending an email the correct way first. Give this person about 72 hours to respond to you and then follow up with an additional email. If you do not receive a response after 48 hours go ahead and use other means of reaching out to them. I know it’s a pain, but you always want to follow the proper line of communication first through the actual publication. 2. Refrain from sending out a mass email to everyone that you’ve listed contact information for on your spreadsheet. Some consider it unprofessional. Honestly, it’s just impersonal. You want to remember that you are running a business. Whether you’re selling hair, health products, or anything else you want to build a relationship with the platform that could potentially advertise or reach back out to do other sponsorship deals with you so mass email is not the way to go. Mass emails also tend to end up in Spam folders so instead, send each person an individual email. Yes, it takes extra work, but this is free promotion so do it! 3. Personalize Your Pitch. Like there are hundreds of you reading this blog post about how to get onto gift guides, there are thousands of people reaching out to blogs around the holiday season to be on a gift guide. Make sure you personalize your pitch to the editor or contributor that you’re writing to so that they’re more likely to pick your hair business out of the hundreds that are already contacting them. Mention a post that you specifically found on their site that impacted you or your business. 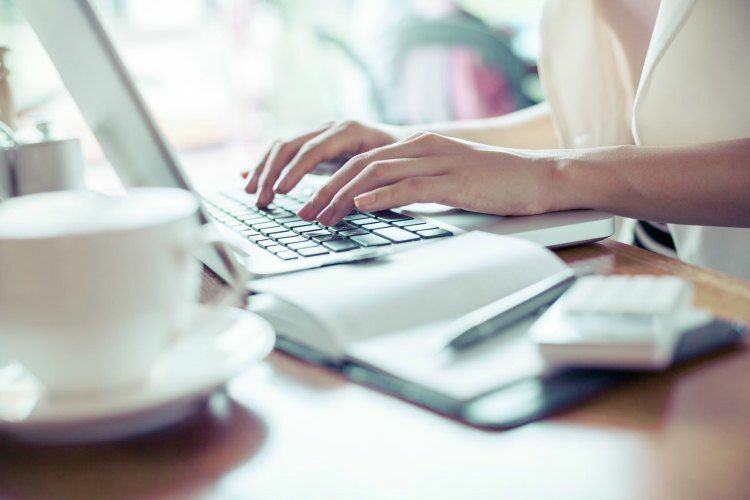 Relate that impactful moment to your business now and how you connect to the blog personally and then put your request in the email. Personalizing your pitch is important because it goes back to the mass email point. If people think that you sent the same email to them and 30 other people, they won’t feel as unique and they will be less inclined to work with you. If you want you can even send the editor or person you’re writing to a sample of your product. However, it is the holiday time, and we are on a budget here, so I do understand if giveaways may not be in the cards right now. It’s just a suggestion. I read [post name] and loved it because [Y and Z]. It is amazing that you give small businesses a shout out around this time of year. Will you be updating it for [year] or writing a new one? 4. Set Your Expectations. Realize that not everyone you contact is going to get back to you right away if at all. I use the 10% rule. If you email a hundred blog sites, you will probably hear again from 10%, and that is not saying that you will be on that 10%. Not everyone’s platform plans to create a gifted guide every holiday season. This is especially true if the publications are not getting a kickback from the profits of the brands that they have listed. It is a labor of love at times. So, keep that in mind when you are reaching out and don’t get discouraged if you don’t hear back from everyone you wanted to. Am I giving you a little more holiday anxiety to add onto the stress you were dealing with as a new business? Take a step back, take a deep breath, and think about what planning to win means! The holiday gift guide craze that comes with the presence of so many different online platforms is free advertising for you. You don’t have to pay for Facebook ads. You don’t have to pay for Instagram sponsored posts. You don’t have to worry about cost per click. You’re also reaching a targeted customer. 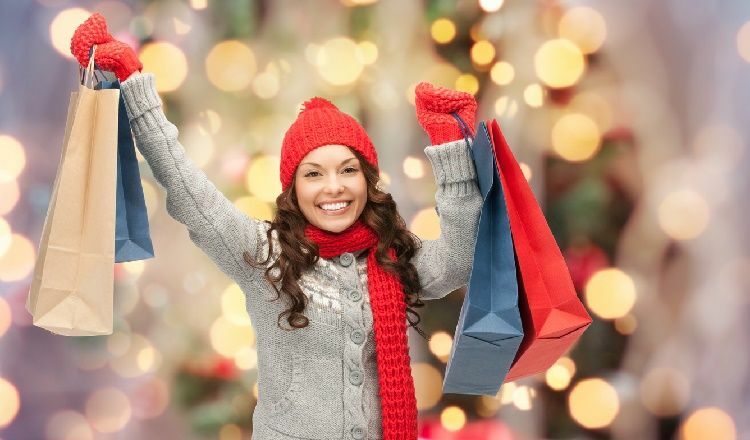 And if the customers are planning when it comes to where they’re going to spend their holiday dollars, then you need to prepare so that they spend those dollars with you. If you are still struggling with a Holiday Hair Plan get your sale ready! Leave a comment below and let us know how you plan to get on a gift guide this winter; if you’ve already secured your spot swing back by this post and tell us your results!